Camillo Castiglioni, a financier and aviation pioneer once reputed to be the wealthiest man in Central Europe, died on this day in 1957 in Rome. Castiglioni was an Italian-Austrian banker who played a big part in the early days of aviation and also invested his wealth in the arts. He was born in Trieste in 1879, when the port on the Adriatic, now firmly established as part of Italy, fell within the boundaries of Austria-Hungary. His father, Vittorio, was a prominent figure in the large Jewish community in Trieste, where he was vice-rabbi, and there were hopes that Camillo might also become a rabbi. But after being educated in the law and working as an attorney and legal officer in a bank in Padua, where he quickly learnt about international finance and how to manage capital, it was clear his focus would be business. Vittorio had been a rubber manufacturer and his son soon enjoyed financial success working as an agent in Vienna for a tyre maker in Constantinople. He made good contacts both in business circles and the imperial court in Vienna, becoming a personal friend of the young Archduke Charles. Enthused by the invention of the aeroplane, Castiglioni helped start the Viennese Aero Club and was appointed its general director. He recognised that the birth of aviation would give rise to a new industry and saw its financial potential, establishing his own ballooning and aviation company. He took the balloon driver examination successfully in 1909. During the First World War, Castiglioni became one of the richest and most influential financiers in Central Europe. 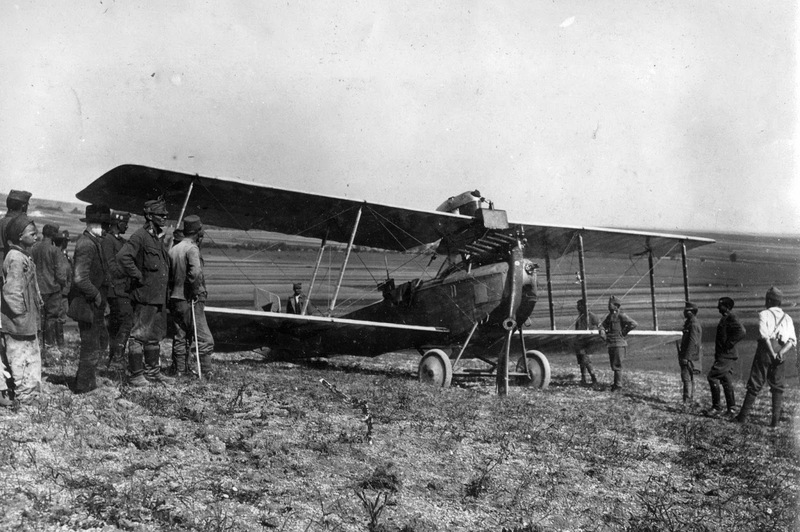 He was the first major investor in the production of aircraft. 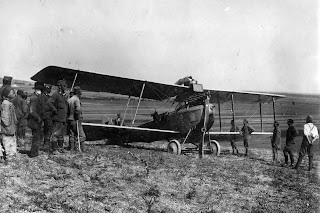 He bought a German aircraft company, employing Ernst Heinkel as chief designer, and supplied aircraft for the German military. Foreseeing also the opportunities presented by the growth of the car industry, he also acquired a majority holding in the Austro-Daimler vehicle company and was a significant influence in the development of the car maker BMW during its early years, employing Ferdinand Porsche as chief engineer. But Castiglioni suffered a series of business setbacks and his financial empire broke up in 1926. He lost millions in particular when he became involved in speculation on the devaluation of the French franc and in 1924 an Austrian bank, of which he had been president, collapsed. A warrant for his arrest was issued, but Castiglioni had taken care to acquire Italian citizenship and was safely outside the reach of the Austrian authorities. He retired to Switzerland initially, but then moved to live in Milan, where he set up a private bank and built up a fortune again. Although he developed a close working relationship with Mussolini, the race laws introduced by the Fascist government somewhat complicated his position. Castiglioni went back to Switzerland and later spent some time in the United States. 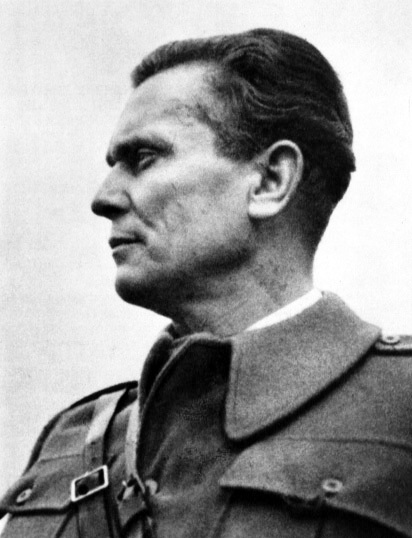 After the Second World War, through contacts made in the US, he returned to Italy and negotiated a large loan for his friend Josip Broz Tito, who would become the leader of communist Yugoslavia. When Tito refused to pay his commission, Castiglioni had his assets in Italy, which were worth millions, sequestered. Away from his business activities, Castiglioni also built up a large art collection, including works by Donatello and some of the Venetian grand masters, although he had to sell much of it to refinance his business activities after his setbacks in the 1920s. He also established a theatre in Vienna. Renowned for his dislike of publicity, he managed largely to avoid having his picture taken and few people recognised him in the street. When he died in Rome at the age of 78, having been suffering from pneumonia, even the city's newspaper, Il Messaggero, devoted only a small space to his obituary. He was at times accused of dubious practices in his banking activities and his life was documented in a an unflattering film in 1988, entitled ‘Camillo Castiglioni, or the morality of sharks’. The beautiful seaport of Trieste, where Camillo Castiglioni was born, officially became part of the Italian Republic in 1954. It is now the capital of the Friuli-Venezia Giulia region and one of the most prosperous areas of Italy. The city lies towards the end of a narrow strip of land situated between the Adriatic Sea and Slovenia and it is also just 30 kilometres north of Croatia. Trieste has been disputed territory for thousands of years and throughout its history has been influenced by its location at the crossroads of the Latin, Slavic and Germanic cultures. Trieste is lively and cosmopolitan and a major centre for trade and ship building. 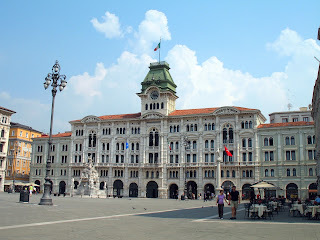 In 2012, Lonely Planet called Trieste ‘the world’s most underrated travel destination’. It is a fascinating place to visit because of the Venetian, Slovenian, Austrian and Hungarian influences in the architecture, culture and cuisine. 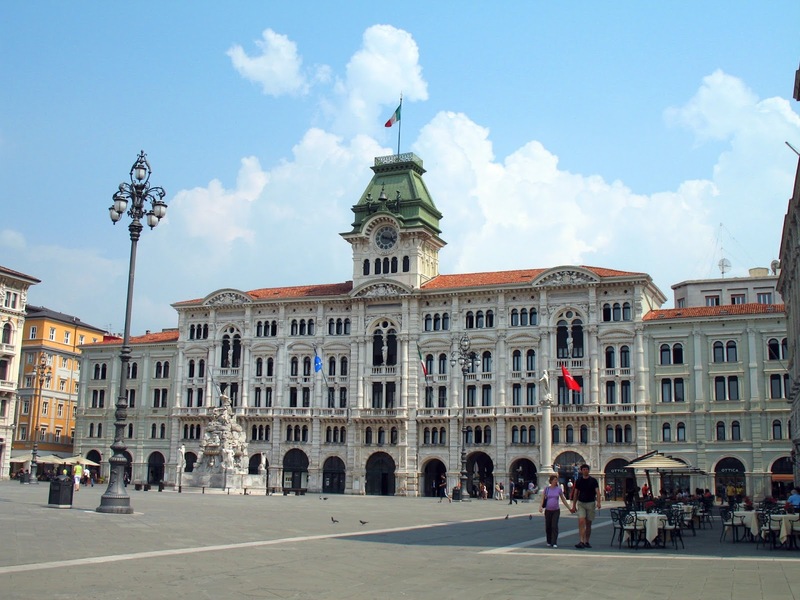 As well as Italian, the local dialect, Triestino, is spoken along with Slovenian, German and Hungarian. Along the sea front, there are many excellent fish restaurants to try. Away from the sea, there are restaurants serving Italian, Friulian, Slovenian, Hungarian and Austrian dishes, and elegant bars line Canal Grande. Visitors can discover why Irish writer James Joyce enjoyed living in Trieste by visiting the Museo Joyce e Svevo, or what was believed to have been his favourite bar, Caffe Pirona.